As a customer of your Facebook and Instagram services I wish to provide you with the following feedback and possible improvements to your services. Whilst Facebook is far from perfect and your recent changes are particularly irritating (and already well documented everywhere) I still thank you for this service which enables me to keep in contact with relatives and friends all around the world. Admittedly, there is more of a tendency to share distressing world news or other people's stories nowadays instead of the preferable 2006-style model of updating statuses with the riveting details of ones day such as "Melanie is now eating a lobster and enjoying it very much". 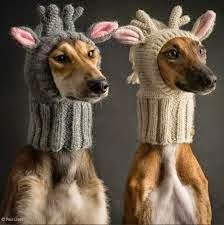 However, since joining "The Whippet Appreciation Society" facebook page, the emotional distress incurred as a result of bad news bombardment has been alleviated substantially. Sandwiched between inflammatory political rants and the horrific stories of children in detention centres are now cute photos of Whippets which really takes the edge off all of the bad news and has elevated my Facebook experience enormously. It puts a smile on your face doesn't it? Whilst I would never want to be blind to the atrocities of the world, I feel the old fashioned practice of popping on the TV for the 6.30 pm news or a quick read through a reputable news source just once a day is enough, although the latter is fast becoming a thing of fiction too is it not? Suffice to say, I am happy to continue utilising Facebook at my leisure. Each of my 346 Friends are indeed friends and people I know in real life, except for 5 bloggers that I have not met yet but let's face it, after 4 years of reading their blogs I feel like I know them more intimately than that girl I went to school with in Year 1. My main point here is that I know all of these people and the practice of "unfollowing" or "unfriending" either doesn't happen or there is a perfectly acceptable reason for the "unfriending" such as the ex-husband of a girlfriend running off with the secretary and wishing to cut ties with his ex-wife and all of her friends. Hypothetically speaking, of course. Which brings me to Instagram and the main reason for my letter. Despite Instagram being an overall enjoyable and positive experience, this one pesky business of "unfollowing" has been the source of some minor distress over the years but I think I've found an easy solution which may help the more sensitive souls of the world - "the Exit Survey". The Exit Survey is similar to the ones you go through with an employer upon leaving a job in an attempt to leave both sides feeling all warm and fuzzy regardless of whether you have been sacked for misconduct or decided to throw in the towel in a disgruntled huff. I'm sure you are familiar with this practice Mr Zuckerberg being the CEO of some 70,000 employees. The "Exit Survey" will give the Instagram user a multiple choice list of reasons they are about to unfollow someone, which will then be sent to the person unfollowed. Whilst this may be unpleasant, it would be preferable to the moments of life wasted wondering why you have been unfollowed - "have I done something to upset them? ", "was it that photo of the gumtree that tipped them over the edge?" or "was I absent from Instagram for too long?". Upon pressing the "unfollow" button there would first be a prompt that says "are you sure you wish to unfollow X?" which would at the outset prevent 2-year olds from mindlessly unfollowing half of your followers by accident, a situation that has been known to happen around these parts. If you confirm "yes" to the prompt then you would be directed to a series of multiple choice reasons for unfollowing. a) I have left the world of Instagram and deleted my account. c) I followed you but you never bothered to follow me back and I prefer my social media exchanges to be based on mutually beneficial friendships, except if you are Sam Heughan. Sam does not need to follow back. d) I no longer have an interest in taxidermy/antique lace/hermit crabs [insert former hobby here]. e) You are a robot and not a real person. I only want to be social with humans. f) I used to find you inspiring but if I see another photo of your Sunset/Rose/Offspring/House/Lifestyle [insert object of beauty here] I'm going to poke my eyes out with a fork. I'm insanely jealous and can't bear to see another photo of that again. It's me, not you. g) Your curated life and the hours you spent arranging your raisins on the plate with that whimsical caption was verging on the ridiculous. It's you, not me. h) I only want to see beautiful photos with horizons that are horizontal. I'm sure you're a wonderful person. Let's still have coffee. i)You are now posting too many photos a day and clogging up my feed so that in the 2 minutes I allow for scrolling I can't see the photos of everyone else's breakfast or laundry drying on the line. I still love you. j) You have bought followers and I find this action a bit weird and I no longer feel the same about you. k) I followed you because of that photo you posted of the Sloth eating the Strawberry but ever since that photo all you post are photos of stairwells. I wanted more sloth. l) You haven't "liked" or "commented" enough on my photos and I need more interaction from you. m) You are "liking" and "commenting" too much and too soon on every single one of my photos and I find this behaviour a little stalkerish and needy. I can't cope with it anymore. n) I followed you when you displayed an interest in my product/workshop/service etc but once you handed over your hard-earned cash I didn't need to follow you anymore. That's business, sorry. n) You unfollowed me after taking my money and I have an ethical problem with you now. That's a very odd business strategy if ever there was so I need to unfollow you. o) None of the above. I have no idea why I want to unfollow you. I follow and unfollow willy nilly without any thought or emotional attachment to the person behind the photos. It's just Instagram. Harden up Princess. p) Your comments and responses on each of your photos are the length of a novel and clogging up my feed. You seem very chatty, have you thought about blogging? What do you think Mr Zuckerberg? This new era of social media is a tricksy thing to navigate. Perhaps it's only natural to feel a bit cynical about it as the years go on. PS: Here is someone else with some interesting thoughts on technology, AKA "who pleases me today, who shall I delete"
I love a good exit survey. I went through a phase of culling 'friends' on face book because there were just too many ' I knew your younger brother' and 'I used to work with you a million years ago' type people in my list. I just found it all too much so now I just have a smaller group and I am more inclined to log in and keep in touch. I also lament the fact that fb is no longer full of updates about what actual people are up to. Bring back 2008 - at least on facebook. Never look at your followers. Just live in denial like me and think no one ever unfollows! Oh dear I'm guilty of 'o' quite a bit. I've never noticed when people stop following me -maybe no one has but I'm pretty sure that can't be true. It is just instagram. Loved this post Mel, made me laugh. Pffff.... "your curated life" - that made me laugh (and remember several blogs I gave up on because of their very studied and superior exquisiteness). I can't say I understand FB ("I'm loving this latte overlooking St Paul's Cathedral" - what? You have a brain the size of a planet and that's all you want to tell us? ), Instagram (what is it? - must google it) or Twitter - why use a limited number of characters when you can bore for Britain on your own blog? (or in other people's blog comments section..... better stop now, Rachel). Anyway, thank you for the laugh. Keep blogging; much more fun. Lol. Social media is quite ridiculous isn't it? Having only been on FB for a year or two, I don't know of this superior 2006 version. As for Instagram followers, I wouldn't know who unfollowed me or not, I don't have time to scroll through my followers and for those that do that I have unfollowed I apologise for offending! Good one Mel and I love that photo. Just checked to make sure I hadn't unfollowed you on Instagram by accident. Every now and then, I just throw up my hands at the utter banality of it all and unfollow a crowd of people. I find it a fine line between enthusiasm and stalking. Is it too much to follow someone on FB, IG, twitter, pinterest and their blog? Thanks for the laugh. I just love how facebook is taking yet another step to control out social media lives. I can't say I go around unfriending or unfollowing, well I don't think I do. Twitter drives me nuts, I just don't get it. Instagram I like, I like the photo aspect. I had high tea with my nana on the weekend, she watched me take a picture of the tea cup and high tea..."but why, Brydie, why?" Nana...I have no idea. Really I don't. Oh, we've had chats about this, haven't we! :) I must admit I haven't really kept up with who follows me and who doesn't, not a whole lot. Sometimes I've noticed that someone isn't following me anymore and I've thought: "Oh, they've stopped following me. I wonder why?" And then I get distracted by something shiny (well, by someone else's pretty picture on IG) and before you know it I've forgotten all about it! I'm not really sure I want to know why people have stopped following. Unless it's something that's really upset them and then I figure they're grownup enough (and I'm grownup enough) to deal with it - however it is that they (and I) choose to deal with it, I guess? Hahahaha fantastic post! What is with those ig accounts that want to sell you followers? I have to admit I have never unfollowed anyone. I don't know how! Very funny post. Am off to follow Wippets now. I've given up Facebook for Lent. It is definitely easier than giving up chocolate. I can't say I've missed it, although there have been times that I've engaged in banter that has made me roar with laughter. I'm afraid one lady thought I had blocked her, and now no longer speaks to me, even though I tried to explain the reason for my absence. I enjoy instagram, and I sometimes get all over-excited and post several pics in one day. So you have my sincere apologies if I clog up your feed. However they are never artfully arranged, I try very hard not to have wonky horizons and I make sure that I don;t get too serious and arty farty in my comments. Brlliant post, Mel. Have a great weekend. I'm just getting started in the world of Instagram, and am sure I've already committed a few social media atrocities while figuring it out. For instance, in the beginning I didn't realize I could use the @ symbol in front of someone's user name when responding to them so they would know I responded. Several people no doubt felt slighted when they asked me a question and didn't realize I had answered. Too funny! I am home sick in bed and the whippets made me laugh out loud!! And Jerry, Jerry is right on! I am gonna start following you, but no pressure! As I was reading this I actually said "YES!" out loud to h). Too funny. Haha I am so i and o. Mostly o. Never unfollow you though! And here I thought I was the only one who worried about that stuff.